Bringing up Charlie: What are you giving up for Lent? So that period of abstinence is upon us again. Having given up New Year's resolutions (as a bad job!) I'm not sure what still draws me to the idea of a Lenten pledge but here we are again, and alcohol it is (or won't be) for the next forty days. The trouble (for me) with giving up the booze is simple. The solution to drinking (should it ever be available) would (for me) be easy. But what can you drink if not wine with dinner? And what goes better (while cooking) than a G&T or maybe cider? And afterwards, with coffee maybe, what nobler digestiv than a generous slug of brandy? It's not (now, although there might once have been a time when it was) the intoxication such beverages bring. In fact, these days, such light-headedness is amply provided by child-induced sleep deprivations. No, it's the lack of an alternative in Lent that is the problem. I like tea (and coffee too) but only really in the morning. Carbonated sugary drinks are a beverage I could easily give up forever. So what is the alternative? 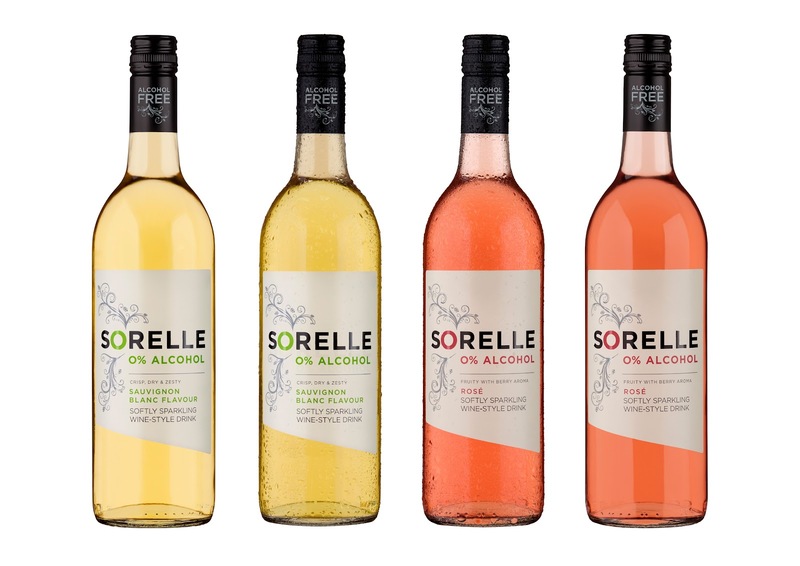 This year I've been sent some wine and beer (sans alcohol) by Sorelle to try. I'll let you know how I get on with it. 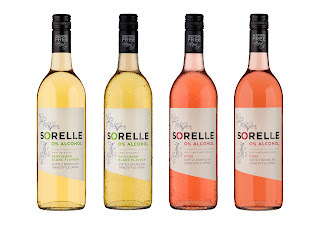 In the meantime, though, don't think me weak-willed or lacking in moral fibre if you see me with a glass of something stronger on a Sunday (or even - in a sundown, 'first of...' sort of way on a Saturday evening). Because Lent is only forty days and - from today - that doesn't include each Sabbath between now and Easter Day itself. There's a good reason for this (for those who want to know): each Sunday (even in Lent) is a mini-festival (of the resurrection) and therefore excluded from the penitential obligation of the season (Quadragesima, since you ask). Furthermore, between today (Ash Wednesday) and Easter Sunday isn't forty but forty-six days and that's not a biblically-significant number, not like forty. It rained for forty days and nights as Noah built his ark; Christ fasted in the desert for forty days (and rested in the tomb for forty hours); Moses spent forty days on Mt Sinai getting the Ten Commandments from Jehovah and Ninevah had forty days to repent or be destroyed. So, forty days of alcohol-free drinking it is. And I'd really appreciate (again) your suggestions for a decent alternative beverage (if you have one). Because staring down this end of the empty barrel, forty days seems an awfully long time. And I hope, by having a glass of wine or three on the Sabbath (which starts on Saturday evening when the sun goes down - no, really!) you don't think that I'm cheating. So, what are you giving up for Lent? And are you including Sundays? Have you tried Fentiman's Ginger Beer Hannah? It's almost as expensive as booze, and almost as good - and they're not paying or asking me to say that either! I'm not giving up anything for Lent, but I have that exact same problem – there just isn't really a soft drink I like that much. Chocolate milk maybe? I wish I wasn't either Rhian - unless it was giving up giving up things. Not going too well, I'm afraid but thanks for the chocolate milk suggestion. I wish I'd thought of that Jen... there are so many things I could've done instead of trying - and failing - to do this one! I absolutely exclude Saturday eves and Sundays from my lenten fast. Giving up alcohol again, eh? Well, as far as suggestions go for substitutions, there cannot be any very good ones. However, you can try mixing sparkling soda with a concentrated grape or cranberry juice...? Glad I'm not alone Rebecca. And yes, booze again. One of these years ill manage it all the way to Easter Sunday! Oh, and thanks for your suggestions, btw. I'm certainly going to give them a try.